The exact size of the boom involved in the accident near 163rd Street and 46th Avenue in Flushing wasn't immediately clear, but department of building officials said it was being used to move a steel beam into place at a residential construction project when it fell. 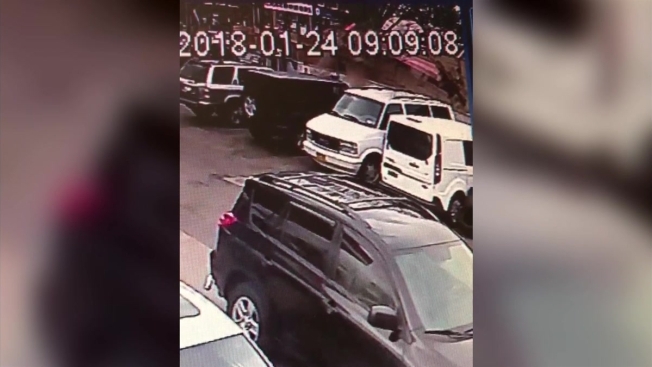 Surveillance footage showed the boom flinging into two cars and a wall at the construction site. City officials said no one was injured and the boom was uprighted by 5 p.m. The city Department of Buildings chalked the accident up to operator error and said the contractor will be issued five citations following the acciddent.